Continuing education information is conveyed through examples, contrasts and understandable definitions. Anyone taking one of these courses will be more confident in their understanding of the subject matter. 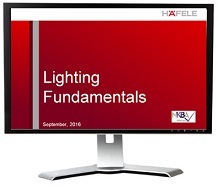 This is a course in lighting fundamentals that is focused on LED lighting. It covers the benefits and changes in LED lighting, the terms and definitions used in lighting design and light measurement.